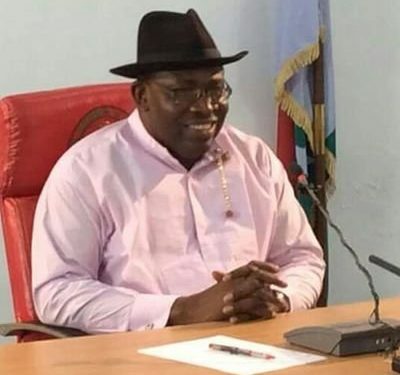 The Bayelsa State Government says, it has paid the balance of the fees for its scholarship students at the prestigious Lincoln University in the United States of America. Disclosing in a statement, the State commissioner for Information and Orientation, Hon. Jonathan Obuebite disclosed that, Governor Henry Seriake Dickson gave the approval for the sum of N250 million, which has been remitted to the Ministry of Education for transfer to the University. According to him, even though, the students have all graduated, as a responsible Government that is ever alive to its responsibilities, the Governor gave the approval and equally ensured its remittance to the institution. He explained that, the delay was as a result of the economic down turn, which drastically affected the finances of the State Government, but was quick to express the appreciation of the Governor and the entire restoration administration to the authorities of Lincoln University for their extreme show of understanding in the whole matter. He recalled with utmost pride, the educational friendly disposition of the Governor as well as the excellent performance of the students, some of whom made first class, one of them the best overall graduating student, who also read the valedictory address at the university’s last graduation ceremony. Hon. Obuebite stated that, despite the general poor financial state of the country, Governor Dickson has remained committed to the administration’s policies and programmes in the educational sector, stressing that no stone would be left unturned in ensuring the educational advancement of the State. He also used the opportunity to commend and congratulate the students for making the state proud by turning out some of the best results.